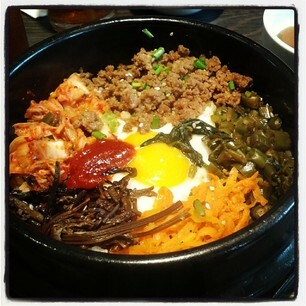 korean food makes me satisfied. I love the taste of bibimbap and japchae, and this soothing relief of ramyun. I’d this penchant for anything korean because it’s healthy, flavorful and cost-effective than most foreign cuisines which I’ve tried. I met up with a friend of mine (who was working near SM Mall of Asia) on one occasion and we went to BibimHaru Korean Restaurant. We tried their dishes and I’m delighted on their wonderful dishes and we would love to come back! But we see to it that we schedule it, or else it’ll break our wallets and cry in grief. Good thing that Metrodeal has this unique promo! I can now obtain their 300 pesos worth of food and drinks for only 180 pesos! It’s a great deal indeed, and shopping for amazing discounts is easy with Metrodeal! So without hesitations, I bought their deal right away and reserve in advance for me and my friend’s dinner date! And we went there days after. Glad that we made the best choice! Their food is simply delicious and I can’t help but to admire the presentation at the same time. The staff are the most welcoming and they’re courteous on our needs. Every little thing is amazing indeed.